Yesterday I won…and so did everybody else! Think win-win is one of Steven Covey’s 7 Habits of Highly Effective People. I remember reading Covey’s book several years ago and feeling challenged and overwhelmed as I thought of how I could possibly practice this habit in the ego-centric competitive corporate culture of the company where I worked at that time. But a strange thing happened yesterday at work. Even though I set out to fight for my right to be right, I won, and so did everybody else! I was working against a fairly tight timeline to launch a multi-media communications plan for one of my internal clients. As it turned out, I provided a hurriedly prepared brief for an external designer who then prepared advertisements that did not quite meet the expectations of the guardians of the company’s brand. I must admit that the designer informed me that some of my design requests were not ‘on-brand.’ The ads were acceptable, I thought, but time and money were at stake so I hurriedly approved the ads. Bad decision. So, off I went to the meeting yesterday, with my mental boxing gloves in tow, preparing to fight for my right to be right. Crusading for the cause of time and money was my platform as I set out to win the battle of the ads! Stepping into the meeting, I was greeted with a copy of the ‘off-brand’ ad that I approved and a few ‘on-brand’ versions created by an external design company, who had recently been briefed on the latest version of our brand guidelines. I smiled nervously. But it was a genuine smile. I really did see the difference between the ‘on-‘ and the ‘off-brand’ versions of the ad. My colleague explained that the ads I approved should really not be used as they depicted the company’s brand and image of yesteryear, a time when I wasn’t even working at the company. The sooner we stop using ‘off-brand’ ads and making exceptions because of time and cost constraints, the better it would be for the company’s image. I had to agree. An important turning point in the conversation was when I realized that I could get the ads re-done and at no cost. By accepting the brand guardian’s offer, I wasn’t giving up anything. 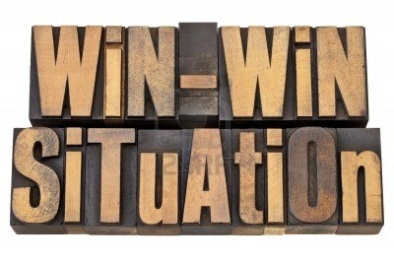 I had the opportunity to create a win-win situation for several stakeholders. By agreeing to have the external design company re-do my ads, the brand guardian would be in a position to determine if the external designer was capable of delivering projects on-brand and on time. My project would give the external designer an opportunity to expand business by adding our company to their roster of clients. What’s more, when all the templates are finalized, the entire company will benefit from having access to a bank of advertising templates for reuse with modifications that will cost much less than having to create completely new advertisements for every project. As for the cost of the work done by my designer, I consider it to be an investment in the design process. The ads served as the point of reference for the external design company to develop the ‘on-brand’ ads. As for my designer, I definitely will share the ‘on-brand’ versions of the ads and the updated brand guidelines for easy reference for my future projects. Win-win situations are all about seeing the BIG picture – the common good of all – while focusing on what’s important – building healthy, functional relationships through listening and addressing the needs and concerns of others. The term work/life balance implies that there is work and then there are other things in life. According to this way of thinking, finding the balance means that there has to be a trade-off. In the end, one or the other suffers. As someone who enjoys working hard, I do cherish time spent with my family and people I love, as well as volunteering and having my ‘down time.’ For many years, I tried unsuccessfully to find a balance between my work and all the other things I wanted to do in life. Trying to fit in one hour of long distance running, preparing supper, spending quality time with my husband and family, working on communications plans for the two social activities I was involved in, working on my latest art project and then factoring in two hours commuting to an 8-hour day job… all left me tired, frazzled, overweight and unfulfilled. Then I tried to cut down some of my social activities in pursuit of the ideal balance between work and the other things in my life. I got the same result – not enough sleep, weight gain and frustration instead of fulfillment. Overarching all of these priorities was my health and well-being and the need for a holistic, balanced way of life. What I realized was that if I stayed true to my priorities, I wasn’t making a choice between work and life. My priorities covered every aspect of my life, of which work is only one component. Since then, I have reframed my thinking about how I manage my time and energy. Treating my priorities as assets and the hours in a day as a portfolio, I invest my time and efforts in activities that matter most while ensuring that my health and well-being are not compromised. Since I’m most alert and productive in the early morning, I spend my first waking hours in meditation and getting ready to start my work day early, allowing for more time in the evening to spend time with my family and with people while being involved in social activities. Then there are boundaries I set on the commitment and number of volunteering opportunities that I’m involved in. It’s simple, but then again it’s not that simple. Having it all is eventually possible. It’s all about setting priorities and making choices that are appropriate at a given time in life. As King Solomon stated, “For everything in life there is a time and a season.” These are wise words to live by.